Poldark: Cornish confection – or the cream of British creativity? 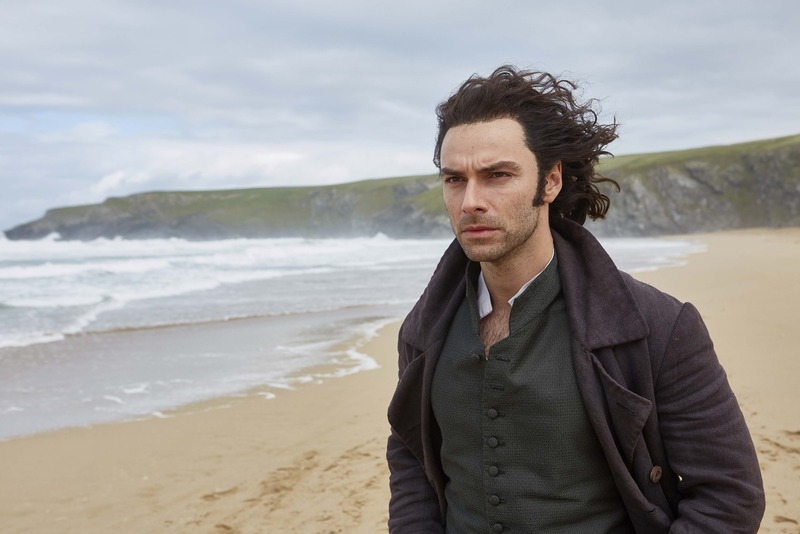 Poldark returned this week and Sunday night viewers settled down to their dose of escapism – though the glorious Cornish scenery and Aiden Turner rising bare-chested from the waves took second place to the programme’s depiction of social unrest and harsh justice (or injustice as some would see it, even then). Our previous blog posts have discussed the conflict that can arise between historical accuracy and dramatisation and Poldark is an excellent example. A description from the BBC on how the series is researched shows how meticulous this process is, but at the same time demonstrates how being true to the original books is also important. A historical novelist may create a scene which is vital to both plot and characterisation, but contains a detail that is historically inaccurate. The dilemma for the programme-makers is whether to side with history – or the author. We’ve discussed before how these inaccuracies can actually be used to promote critical thinking – not only in terms of ‘spot the mistake’ but in asking students whether the error might have been deliberate and if so, why? Students can also consider how past events and attitudes are portrayed for a modern audience and how these attitudinal changes have come about. The BBC article also gives us a glimpse of just how many and varied the skills and job roles are that go into the making of such a series, from historians to horse trainers. Students studying media production know that they want to work in film, TV or radio. Those studying other subjects may not have thought of this career path, but programmes could not be made without them. Young people who streamed out of examination rooms during the past few weeks could in the future be part of the enormously important British film and media industry – even though they may never go near a camera. They might instead be writing scripts (English), cutting hair or doing make-up (Hair and Beauty), working on sets (Carpentry and Joinery, Engineering, Art and Design), training and looking after animals (Animal Husbandry), checking archives (History), making costumes (Fashion Design) or travelling the world to find locations (Geography). Let’s not forget that Delia Smith, as a young cookery writer (a job she never envisaged doing: when she left school she initially became a hairdresser) made a cake which, unknown to her, was intended for the cover of the Rolling Stones album ‘Let It Bleed’. As such, it entered into both media and rock mythology. And Delia herself ultimately became a media phenomenon. This brings us neatly back to Poldark – and the importance of eating. Whilst the poor starved, as in last week’s episode, the rich ate well –spectacularly so. Formal 18th century dinners and feasts were not just seen as food, but as an expression of wealth and an opportunity to demonstrate the differences between social classes. Series food stylist Genevieve Taylor invited BBC Radio 4’s The Food Programme into her kitchen back in 2016, and on to the secret set locations to give a fascinating insight into the tricks – and illusions – of her trade. She was joined by others involved with the programme including historical advisor Dr Hannah Greig of York University. The programme is available at . Lear: a tragedy for our times? Home | Ideas & Guides | Poldark: Cornish confection – or the cream of British creativity?